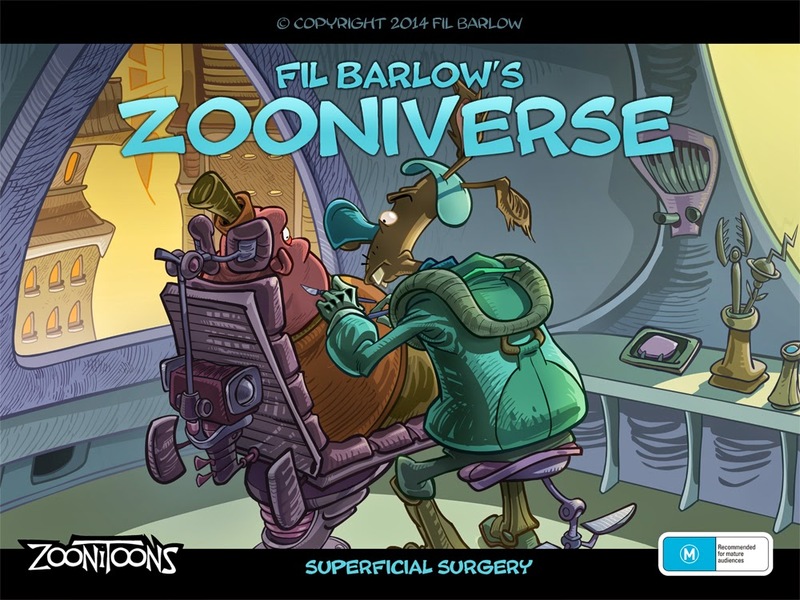 Zooniverse Comic: Zoonitoons App is Live! For those of you who have an iPad, good news! We have finished our Zoonitoons app and it's FREE! or search "Zoonitoons" in the Entertainment section of iTunes. Yes we hope to release it on other platforms like android, but we are starting with Apple. One step at a time. This is the result of six months working with two programmers, my brother Tom and his friend Paul Sagor who is an app veteran. Please support our venture, as this is where I will be releasing my NEW Zooniverse comic which I am feverishly working on. My comics are formatted to the iPad screen because I'm not impressed with the whole pinching to enlarge a full comic page. I find zooming in and out disruptive to the immersion of reading a story. I've also noticed that readers tend to leave the page full size and don't zoom in, scanning the pages without taking time to enjoy the art. It seems like a waste of artwork to me, so I've prepared everything to fit the screen. I've done this more with the upcoming issue which is called "Kick Off". Superficial Surgery is the free comic we are offering through our Zoonitoons app. I will continue to release printed comics, but the app makes the work much more immediate and accessible to the whole world. Postage out of Australia is expensive and slow, printing in color is costly and printers are a bit of a hassle, so this is a preferred alternative.